Apartment located on 2nd floor, without elevator, in large house, simply furnished. Living room giving onto balcony with double sofa bed. Separate kitchen with 2 hotplates. 1 bedroom with double bed. 1 mezznaine bedroom with 2 single bed. 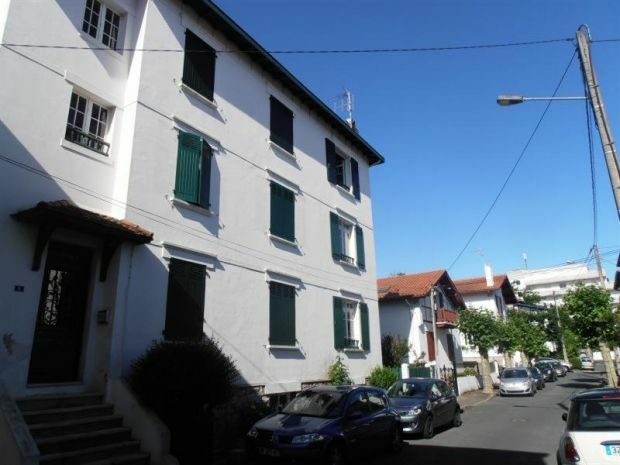 Large house located in a residential area close to shops and close to the city center of Biarritz. You will have free shuttles near the residence, serving the city center of Biarritz and its beaches. You will be able to appreciate Biarritz for its glamor, its Rocher de la Vierge, its thalassotherapy center, its surf spots or its casino. Biarritz is also the Aquarium Museum of the sea, gastronomic specialties in the market and restaurants, nightlife and summer events.